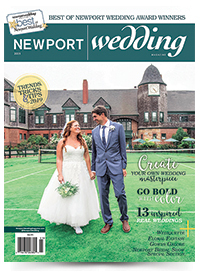 Bridal Show Weekend Accommodation Specials starting at $99 per night are now available, exclusively for 16th Annual Newport Bridal Show attendees! After pre-registering or purchasing show tickets at NewportBridalShow.net, show guests can take advantage of great rates at some of Newport’s most beautiful and luxurious properties for the weekend of February 16-19, 2018. For more information click HERE! Complete the form below to send Show Weekend Accommodation Specials an e-mail message.